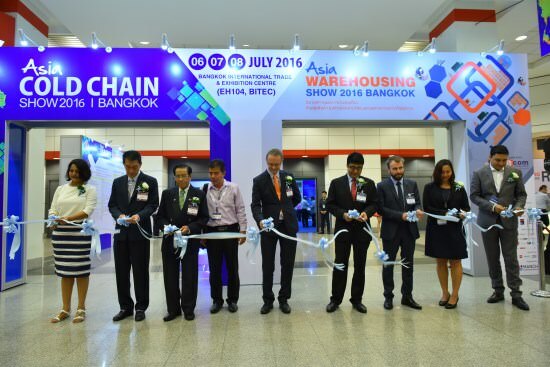 3rd Asia Cold Chain Show riding well on the success path! 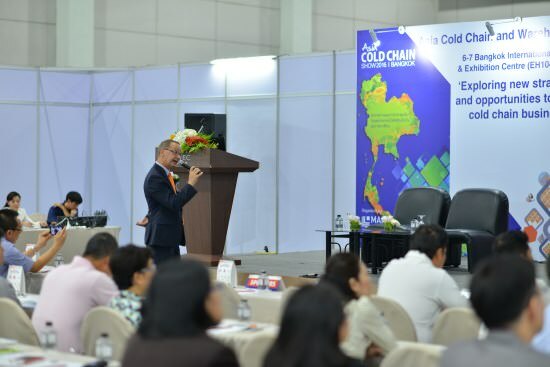 The upcoming exhibition & conference on Cold Chain, Refrigeration, Temperature Controlling, Logistics And Cold Supply Chain Technology – Asia Cold Chain Show will be taking place in Bangkok on 27-29 April 2017 at BITEC with Warehousing & Cold Chain Summit, a conference featuring variety of topics based on the theme of “New Business, New Markets: The Way Forward for Warehousing & Cold Chain Business”. The objective of the event is to capture the interest of service providers and end-user industry to discuss new challenges faced today, explore machinery and equipment available and learn about innovations. Currently, Southeast Asia is experiencing a period of transition where both technology as well as economy is changing constantly. It is therefore important for professionals from various sectors to understand the trends, study the markets and find out solutions. With the medium of ACCS 2017, Manch Exhibitions gives you the opportunity to gather and understand the changing cold chain market in ASEAN. Around 100 Exhibitors from over 14 countries including Thailand, Italy, Singapore, Malaysia, China, United Kingdom and more are participating and are showcasing over 350 equipments, machineries and solutions at the event. The show garnered contribution from leading associations including Warehouse Silo and Cold Storage Business Association, Cold Chain Association of Indonesia, Federation of Cold Storage Association of India, Agriculture and Food Marketing Association for Asia and the Pacific, Hong Kong Logistics Association, Thai Airfreight Forwarders Association, Federation of Malaysia Freight Forwarders and Supply Chain & Logistics Association of Australia. Visitors from Agro & Agriculture, Fisheries, Dairy, Horticulture, Hotel, Restaurants, Fast Food Chains, Fruits & Vegetables, Food Grains, Retail, Processed & Packaged Foods, Pharmaceutical, Seafood and many other sectors which are regular users of cold storages, temperature controlling techniques, materials handling and cold logistics will get a chance to see a variety of products and solutions required in a refrigerated warehouse. Adding value to your visiting experience will be the Warehousing & Cold Chain Summit, where expert speakers from various end-user companies will partake and share their knowledge with the attendees. Conference delegates will get a chance to interact with the panelist (speakers) and gather information on latest technologies in the market. More HVAC related events here.